Until now we have been discussing the benefits of using Glass in doors, furniture, partitions mirrors and windows. No doubt Glass provides an illusion of space, is easy to maintain and also lowers your energy bills; however, does it provide you with privacy? And when it does; like in the case of frosted and sandblasted Glass, it does not give you the complete package of Glass. But did you know that advancement in technology has not only invented Smart Phones but Smart Glass as well? Smart glass also known as Switchable Glass, is a type of glass that works on an electrical principle switching from frosted to clear when power is applied. Switchable Glass offers a next generation alternative to blinds or privacy glass making it the ideal choice for commercial or residential installations. It is a glass whose light transmission properties are altered when voltage, light or heat is applied. Generally, the glass changes from translucent to transparent, changing from blocking some or all wavelengths of light to letting light pass through. It is way easier to maintain Smart glass than ordinary ones as there are no worries of handling the maintenance curtains and blinds. All you have to do is wipe them to keep them away from dust and dirt. Windows may also provide a beautiful view, but they raise the temperature in your house if you are not blocking out all the light coming through your windows. This will need you to use the Air Conditioner which will ultimately increase your electricity bills. Now this is where switchable glass windows come in since you don’t have to cover them to block out light and to prevent heat from coming into your home. Smart glass windows are able to prevent light from coming into a home with just a flick of a switch. The less light that is getting inside your home, the lower the temperature is going to be inside your home. This means you will be running your air conditioner less and will be saving money. Switchable glass advances privacy in the case of boardrooms and office partition. When privacy is not required, the partitions may be left clear and switched to opaque glass when in use for private meetings therefore creating an easy way to know when a room is in use or not without interrupting the goings on. But do you know the best part of it? You can use the technology to turn your home into a theatre! Smart glass does that when it is in its privacy state, it can be used as a projection screen. It all comes down to the quality of the Smart Glass. 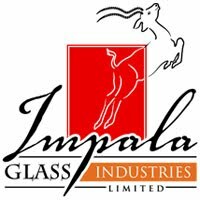 Impala Glass, one of the Kenya’s leading Glass Company supplies supreme quality smart glass. Contact Impala now on www.impala.co.ke and get them installed to experience the full benefits!